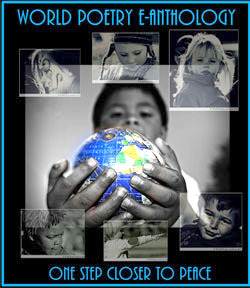 World Poetry Celebrates the Lincoln Poetry Club! Ariadne’s Notes: World Poetry Celebrates our partner the Lincoln Poetry Club with the first two award winning poets . 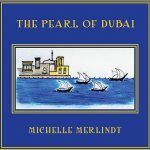 World Poetry was honoured to welcome them and feature their first two poets whose poems were read on the World Poetry Café Radio Show. First award winning poem on the show. Jeanie Robertson has written poetry since she was in grammar school. She is one of five generations of rhyming poets. They have self-published two books and are doing the final editing on the third book. Jeanie has been published in a local monthly paper many times in the last 15 years. She writes simple poetry about everyday life that is easily identifiable. Writing is her favorite hobby. So they were left to stray. Like lyrics in a song. Would be their favorite days. If these pets are gone for good. Couldn’t help but wonder why. As tho they’d been here before. And what next they should do. Had so much love to give. Left on the streets to roam. Buried deep beneath their skin. Now the dogs were theirs for good! Living there, but the best part? And family with a heart. by Jeanie Robertson, Award winning poem, Lincoln Club. (C) All rights reserved. Kathleen Ward was born in Lockport, NY, but moved to California at the age of 12. 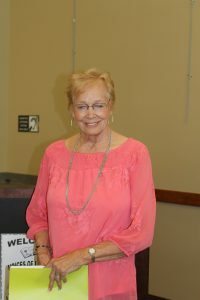 She graduated from the California State University at Sacramento with a degree in English, and taught junior high school in Los Banos, CA, for twenty-five years. She is a member of the Poets Club of Lincoln, CA and has won several awards for her poetry. 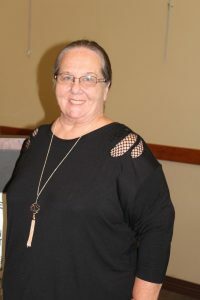 She is now retired and living in Lincoln, CA, where she spends her time writing poetry and fiction when she is not busy traveling or playing with her grandchildren. As her worn-out cardboard sign. To open doors for me. And I’d answered them all before. In the sweet tones of her voice. If I had a second chance. by Kathleen Ward, Lincoln, CA (C) All rights reserved by the author. This entry was posted in Ariadne's Notes, E-Poets, Featured Poets, General and tagged Alan Lowe, International Peace Award Ariadne Sawyer, Jeanie Robertson, Kathleen Ward on August 15, 2018 by Ariadne. 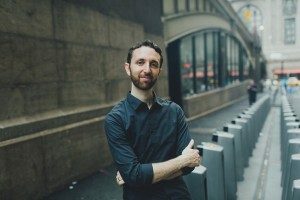 World Poetry Celebrates the Talented Pianist and Composer, Danny Green! 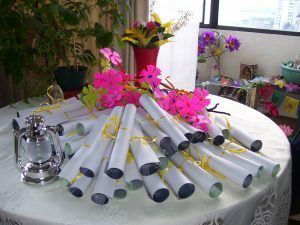 *World Poetry Peace Gift poems, over 900 were given away at UBC during the last WP Peace and Human Right Festival. 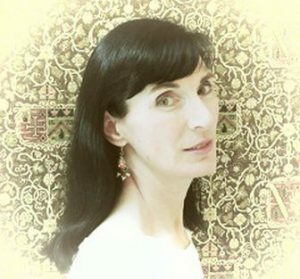 Ariadne’s Notes:Wonderful guests on the World Poetry Café last week , Thursday, July 19, 1-2 PM Alara Bretanne, Canada and Danny Green USA ! Tune into the World Poetry Café Radio Show celebrating our 20th year! It was exciting to interview Danny with his beautiful new CD One Day It Will. 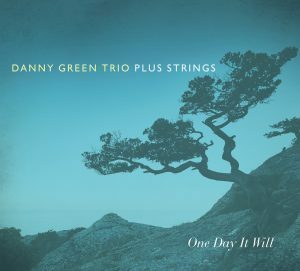 A rising force on the jazz scene and an award-winning Origin Records recording artist, pianist and composer Danny Green has distinguished himself with his beautifully articulated touch and melodically charged sensibility. His Original compositions – a vivid blend of jazz, classical, and Brazilian elements – delights critics and audiences across the country and around the world. A Southern California native, Green began studying classical piano at the age of five. His passion for music was apparent early on — his parents had to pull him away from the piano at his first recital. As they tugged him by his right hand, he continued playing with his left hand. At the age of twelve, Green grew disenchanted with reading music and quit lessons. He taught himself to play by ear and spent the next two years only playing Nirvana. Toward the end of high school, he fell in love with Afro Cuban music, which led to his discovery of Brazilian music and eventually jazz. Green resumed his formal training at UC San Diego, where he studied jazz piano with Grammy-winning producer Kamau Kenyatta and classical piano with John Mark Harris and Luciane Cardassi. He performed the first jazz honors recital at UCSD and received the Jimmy Cheatham Jazz Award. Green continued his education by pursuing a Master’s degree in Jazz Studies at San Diego State University, where he studied jazz piano with Rick Helzer. He was awarded several scholarships and named “Outstanding Graduate.” In 2013, Green was honored as an “Alumni to Watch” from SDSU’s School of Music and Dance. The Danny Green Trio features the talents of upright and electric bassist Justin Grinnell and drummer Julien Cantelm. Since its formation in 2010, the trio has performed at notable venues, series, and festivals across the county, including the San Jose Jazz Summer Fest, Shapeshifter Lab (NYC), The Blue Whale (LA), Vibrato Jazz Grill (LA), The Lilypad (Cambridge), The Loft @ UCSD, KSDS KSDS Jazz 88.3’s Jazz Live, the Athenaeum Music and Arts Library (San Diego), CSU Summer Arts Monterey (residency), the Integrity Jazz festival in North Dakota, TEDxUCSD, The Sound Room (Oakland), Tula’s Jazz Club (Seattle), Jazz Live at Marine View Church (Tacoma), and the KSDS Jazz 88.3 Ocean Beach Jazz Festival. The trio was chosen to be a resident artist in the San Diego Museum of Art’s 2013 Summer Residency Project. Green revealed his unique talents on his 2009 debut recording With You In Mind, which won “Best Jazz Album” at the 2009 San Diego Music Awards. In 2012, Green teamed up with Tapestry Records to release A Thousand Ways Home, featuring Justin Grinnell on bass, Julien Cantelm on drums, and Tripp Sprague on sax, as well as a talented cast of guest artists inducing guitarists Chico Pinheiro, Peter Sprague, and Dusty Brough, Brazilian vocalist Claudia Villela, and mandolinist Eva Scow. That album was voted into KSDS Jazz 88.3’s “Top Ten Jazz Releases of 2012,” and was nominated “Best Jazz Album” at the 2013 San Diego Music Awards. Remember that if you have been on the show before you can go to www.worldpoetry,ca and go up and right to search, Put your name in and you will see your old features. This entry was posted in Ariadne's Notes, E-Poets, General and tagged Ahmad Al-Khatat, ALARA BRETANNE, Author Sharon Rowe, Braitwaite and Katz, Danny Green, International Peace Award Ariadne Sawyer, Jeanie Robertson, Monsif Beroual, Victor Schwartzman, www.coopradio.org on July 23, 2018 by Ariadne.